on October 1, 2008 at 12:13 pm thanks to his purchasing this book for a mere fifty-one cents. But this is not all about John; this is about the woman who was called "The Nation's Homemaker." 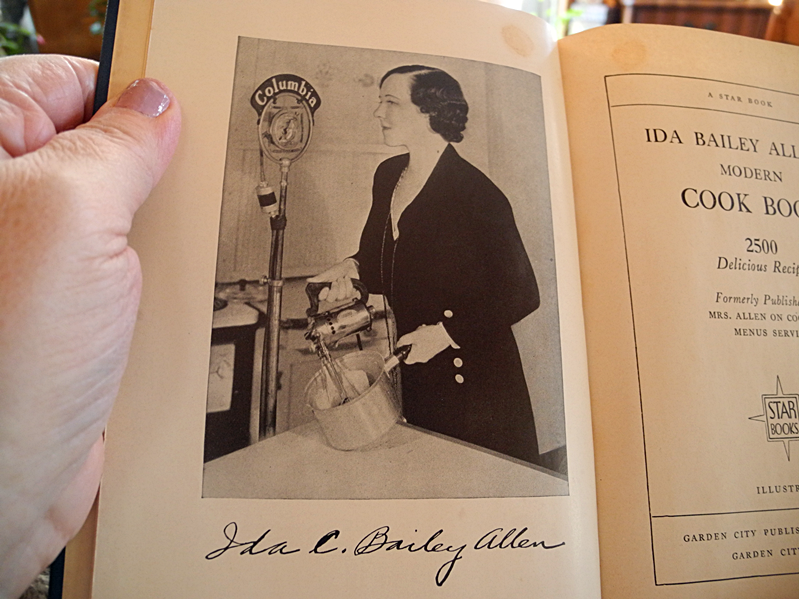 Her name was Ida Bailey Allen (1885–1973). She was a prolific cookbook author, writing over 50, and she wrote a column for Good Housekeeping where she also served as an editor. Her accomplishments were many and you may read more about them with a simple online search as I did. Other bloggers have done posts and Wikipedia also has good information. 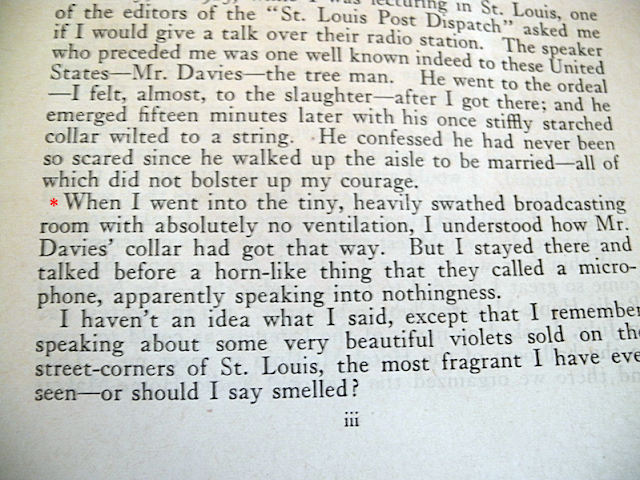 I am going to allow this book and Mrs. Allen speak for herself with the following pictures. 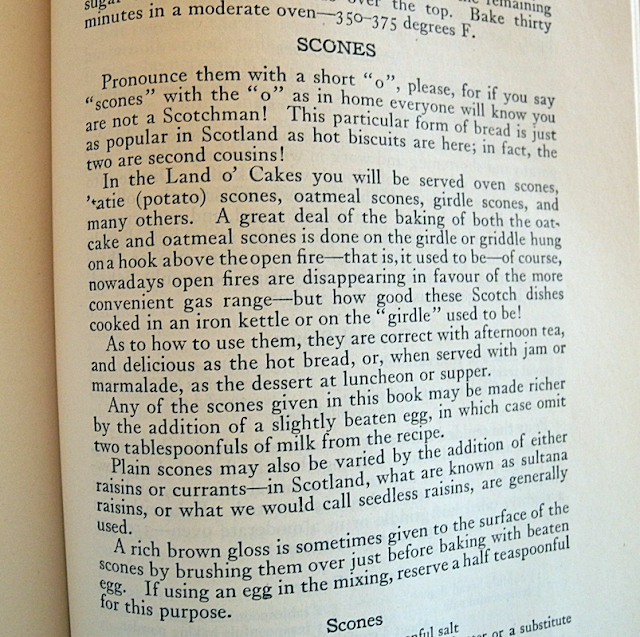 Many interesting recipes appear in this book first published in 1924. Thought you might especially enjoy making Popcorn Pudding. 😉 Lest I tease too much...have you ever eaten this concoction? Heard of it? Pronounce it correctly or "they'll" know that you aren't from there! This was a fun description of Mrs. Allen's first encounter with a microphone. Does the Pioneer Woman or the Mennonite Girls Can Cook crowd know to include household tips in their cookbooks, hmmmm? After all, we really do need to know how to keep the staff looking presentable. Honestly, if you want a few hours of fun reading, this book is highly recommended. You probably can find any one of a number of Ida's books at your local flea market. I've not heard of Mrs. Allen. Popcorn ball pudding? Now that sounds a bit weird to me- also the sweet macaroni balls. 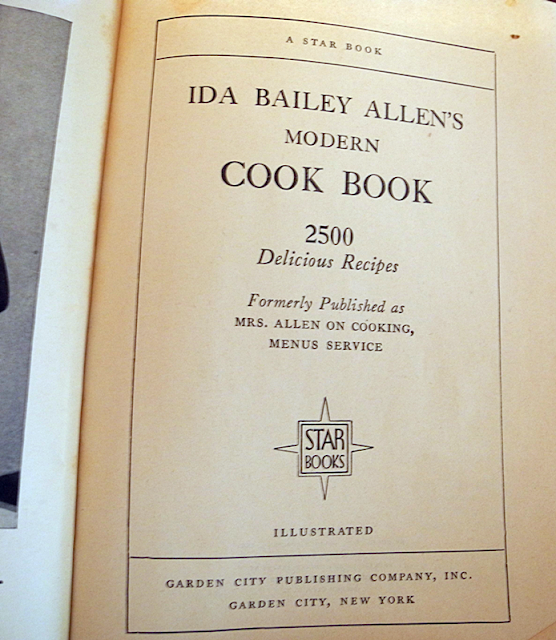 I do enjoy looking at old cookbooks and her's reminds me a bit of Gladys Taber's. I love old cook books. That popcorn pudding sounds interesting. They have one for sale on Amazon! 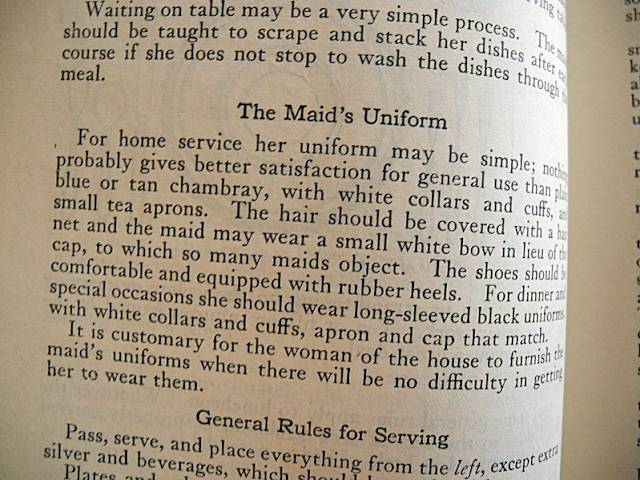 Old cookbooks are so interesting; they often give a peek into a way of life that is long gone. Popcorn pudding sounds ... not very good, but then, I've never tried it! I love that the receipt is in the book and that John purchased it. Now I'm off to see what Sam's up to. Life has changed so much since then! What a fun book, Vee! No, I've never heard of popcorn pudding, but I'd be willing to taste it. I love that John bought the book for 51 cents! What a great book that your sweet John picked up for you! (or himself?) And even though the post isn't about him, what a sweet reminder of where he happened to be on a certain day. I have to tell you, I can almost see the words Mrs. Baily coming right out of your mouth...especially the way she described her encounter with the microphone...lol! I have never heard of Popcorn Pudding either but would surely give it try just to say I did! That book is surely a keeper! The popcorn pudding and sweet macaroni balls definitely do not fit my idea of a healthy meal, but I'm sure there are times when the emotions (sad ones, in particular) may dictate indulgences such as these. And I can't fault anybody for that! Just today I succumbed to a [rare for me] treat of peanut butter and margarine sandwich on 2 slices of bread. Yes, it helped. Just popped back from checking on the update of Sam. Poor old Ted! Not sure how I feel about popcorn pudding, not sure I would make it but I would be happy to try it if someone else did. Loved the information about the scone. I think I may have had one, years, if not decades, ago....And now I wish I still had it. I may keep my eye out for another. 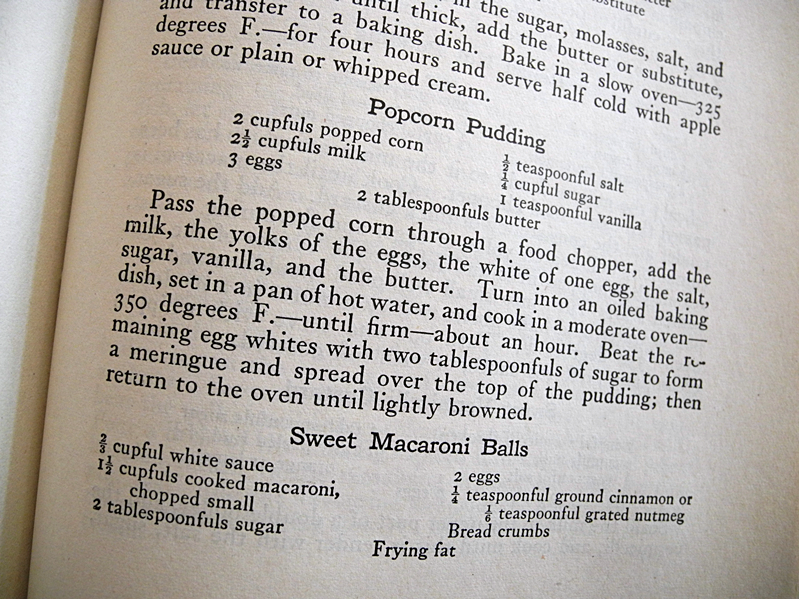 There is a lot of fascinating social history in old cookbooks. Be well, dear Vee. I love old cookbooks! And how fun that John bought that one! Was it for you or did he get it for himself? It was on his bookshelf and I only pulled it a few days ago. It was “a find” that I knew nothing about. Never saw him read it either. 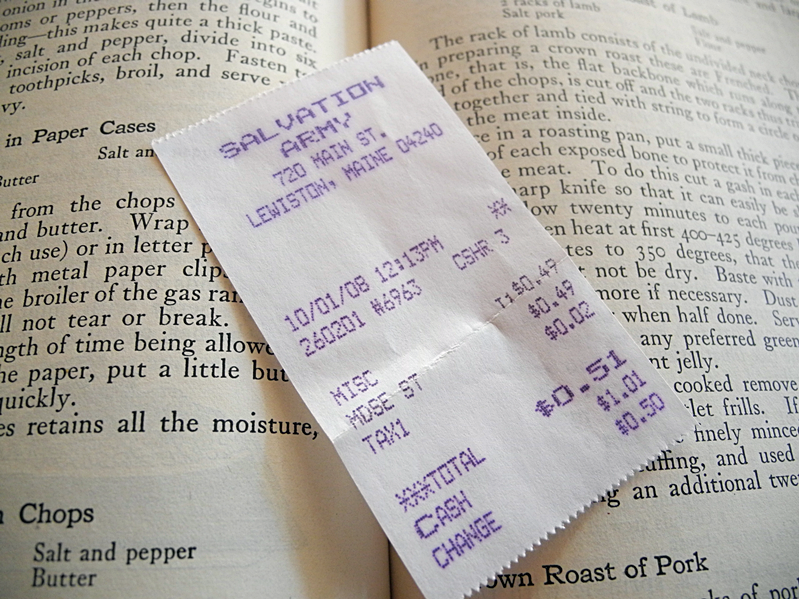 I think it's a bonus to find the receipt in a book John bought. Maybe he bought it for you and tucked it away. At any rate, Allen is my mother's maiden name. No, I don't think your thumbnail looks funny, in fact, I was thinking, how lovely, she's wearing nail polish. Popcorn pudding . . not sure about that one. Yes, what a blessing that you found that receipt and you know just where he was at that day and time. And the book ... really, it's all like a gift to you, isn't it? Lovely. 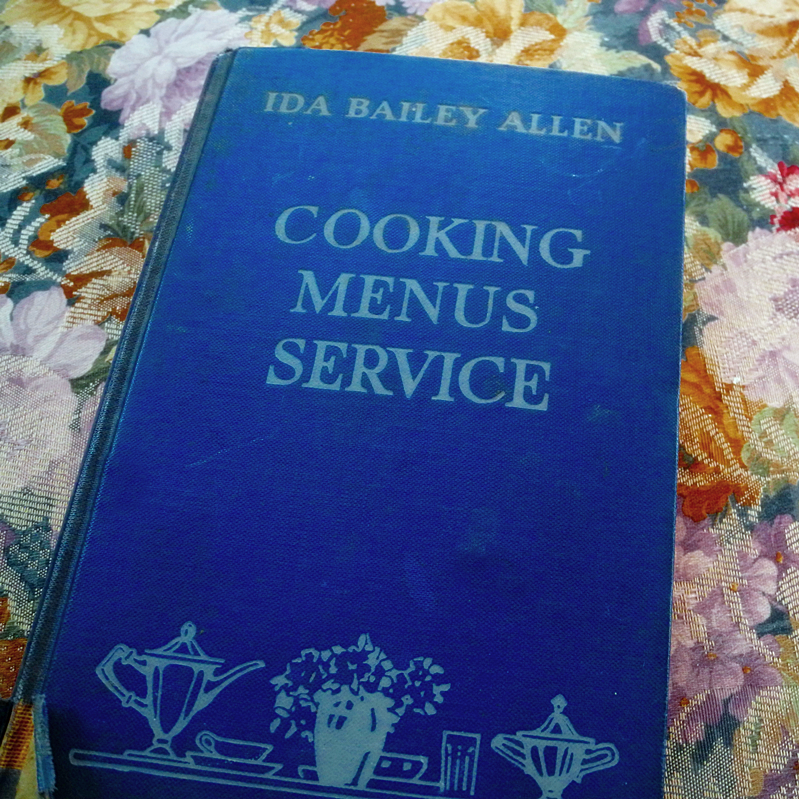 I have heard of Ida Bailey Allen but had never dipped into one of her cookbooks. My first thought too on seeing that signature was -- how nice, she wasn't a perfectionist! 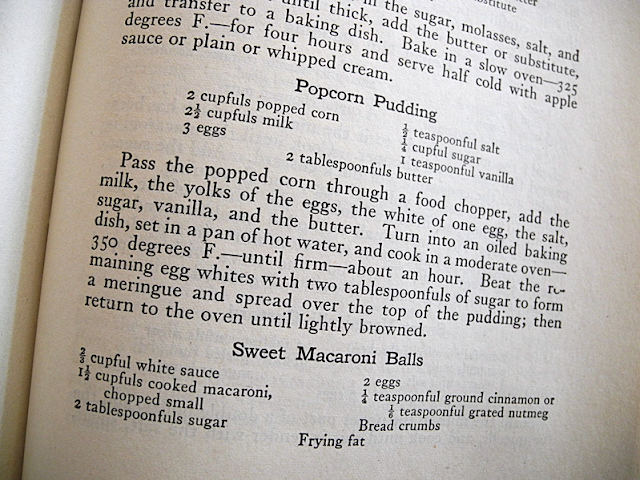 Not sure about either Popcorn Pudding or the Sweet Macaroni Balls. I have on my shelf Better Homes Recipe Book, by Marjorie Mills, published in 1933. Don't think I had ever even opened it, but did just now. 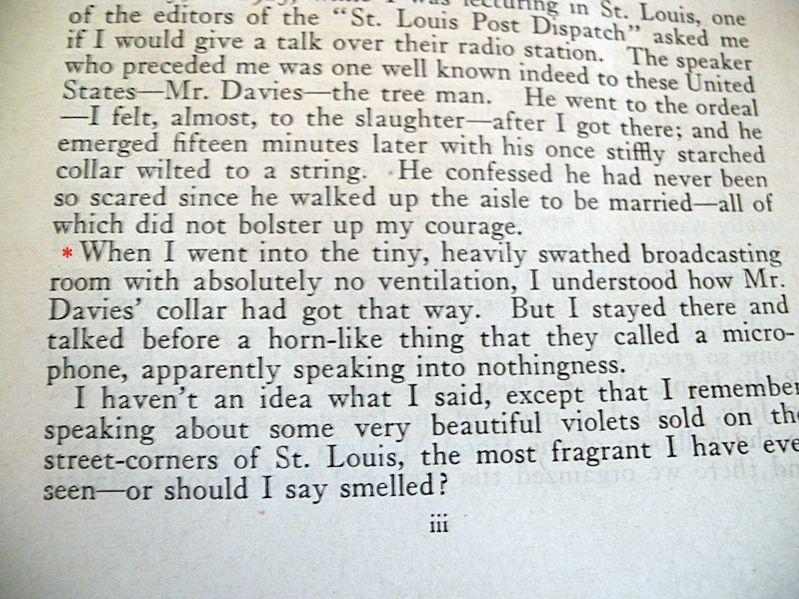 Her style is actually a bit like Mrs. Allen's, but the recipes I glanced at looked tastier than popcorn pudding, etc. Maybe sometime I'll do a post about this book ... thanks for the idea! How nice to find the receipt and have your good thoughts go to your dear John. I love old cookbooks and it's fun when you find a bookmark or something tucked inside. What recipe will you try now? Hugs! No, I've heard of popcorn pudding! That must have brought a smile and tear to find the receipt left by John. What a fun read! Popcorn pudding sounds awful! That must have been great fun to discover this book on John's shelf. Vintage cookbooks are fun in themselves . . . a peek into another time and place. I have never thought of food as "trendy" but it is! There are dishes that come and go with time. I remember when I received some old family cookbooks that the recipes were just so different from how I cook today. I have similar old recipe books from England - my mother's - and some from here found in thrift shops. ingredients, along with everyone wanting to be 'chef of the year'. I love old cookbooks! What a treasure to find the book, that is just amazing! Popcorn pudding...humm! How cute is this post....just love it. I checked the update about Sam...sigh! My oldest grandson is 14 and has begn shaving. I was so shocked when I noticed the dark fuzz on his upper lip. Where is my sweet little boy? Well, he is a wonderful very young man. But those were certainly golden years when he was so young. Yes, it was a Puff the Magic Dragon moment for me...course, I really do not want children not to grow up...that would be so wrong. What a fun find on John's bookshelf. I remember he was a very handy man. Did he like to cook too? As the owner of several vintage cookbooks, I thoroughly enjoyed these glimpses into this one. I just looked to see if any of mine were by this author and the answer is no. I may have to start checking the thrift shops. Can't imagine that I will feel compelled to try the popcorn pudding or the sweet macaroni balls, but it sure is fun to see how things in the kitchen have changed through the years. I'm off to check out Sam's update now. He made a good cup of coffee... As for cooking, he would say that he could fry cornflakes. Vee, this is wonderful! What a find! My husband, like Mrs Allen, insists that the maid wear shoes with rubber heels and soles so she doesn't make such an awful racket when he doesn't wish to be disturbed. And I insist on hair nets for the entire staff. As if. What a hoot! 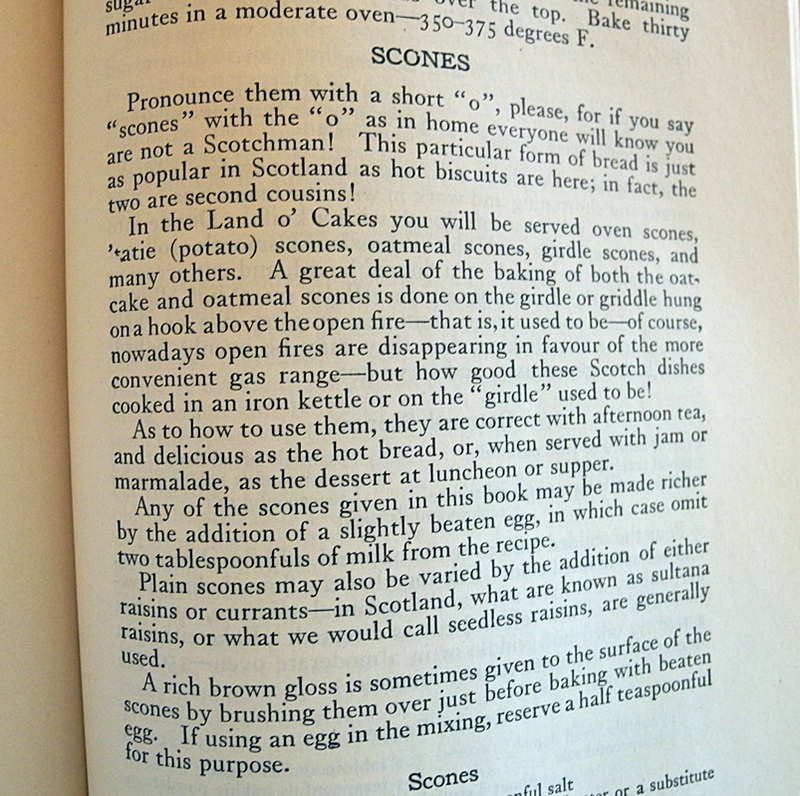 Now I know the correct pronunciation of scones! I wonder if anyone else will. 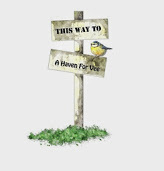 Getting caught up on your blog is such a good feeling and wonderful visit. Mrs Allen had a wonderful sense of humor didn't she? That cookbook read like a novel--my favorite kind of cookbook, and a wonderful treasure for you to own, Vee! Popcorn pudding sounds intriguing. I did see a recent cupcake recipe that called for the addition of popcorn--I wonder if they got the idea from this book? I always loved the Good Housekeeping Magazine of an earlier era. It doesn't have much in it now. Don't know how I missed this post, memories are one of God's special gifts to us, it seems your John was always so thoughtful! This looks like an awesome read, I will be looking for it, when I go to a thrift/antique store I always head to the book section first. I have never made scones before, Cheryl shared her recipe, it sounded and looked great, she cautioned on over mixing, which I have a tendency to do on everything.I want to try it though. I saw where you might be getting more snow, hang on spring is coming. I'm glad you found that cookbook; such a good way to while away the time on a cold winter afternoon. I love cookbooks; they're so much more than just recipes, aren't they? Old cookbooks are really fascinating because they do show how much things have changed over the decades and centuries. I confess I've never heard of popcorn pudding or Mrs. Allen, but I'm glad to know about her. I'll have to Google now. ;) Thanks to you (and John) for sharing with us. What a fun little cookbook, my friend. Some of the old recipes are quite interesting, aren't they? Vee, even with my massive amount of decluttering, the treasures I have kept are the old cookbooks. I love reading the etiquette parts and customs of that day. I also love knowing the proper pronunciation of recipes. Scones indeed! Now I want some Devonshire cream and apricot jelly too! =) Happy Valentines Day to you dear Vee. 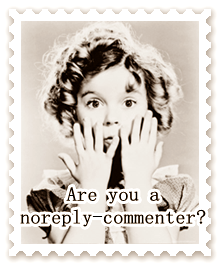 ...just by to say I enjoyed your Valentine post very much. boy, between doing blog, FaceBook and IG, it is wearing me out...somethings gotta give as I am spending waaay too much time on the computer. I am constantly taking photos, editing, posting in one or all three places.Not sure which one to delete...maybe the blog. Well, not delete...just close it down for awhile. Oh not the blog! Ackkkk! What fun to peruse and read her writings! I chuckled as I read, my how times have changed, I'm glad I don't need maids or a housekeeper, and my goodness, that popcorn pudding sounds rather strange, but who knows, maybe it is an endearing recipe! Thanks for sharing, I will have to keep my eye out for one of her books now. What a sweet reminder too of your precious John! Oh what fun! Thanks for sharing. My sisters and I were poking through my grandmother's old recipe books over Christmas. We enjoyed looking at those old, old recipes, along with Grandma's handwritten notes in the margins.